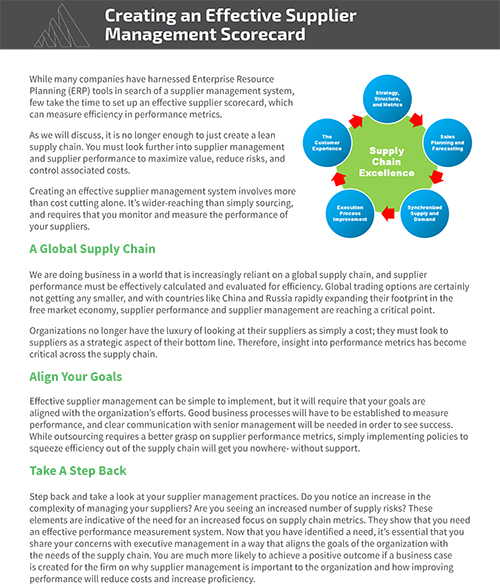 Learn how to measure performance metrics across your supply chain in this quick-read white paper from Avetta. How often do you check your supplier management scorecard? Are you winning? In this quick-read white paper, discover how creating an effective supplier management system involves more than cost cutting alone. It’s wider-reaching than simply sourcing, and requires that you monitor and measure the performance of your suppliers.